started his career as a Medical Doctor, but coffee farming has always been a part of his life. 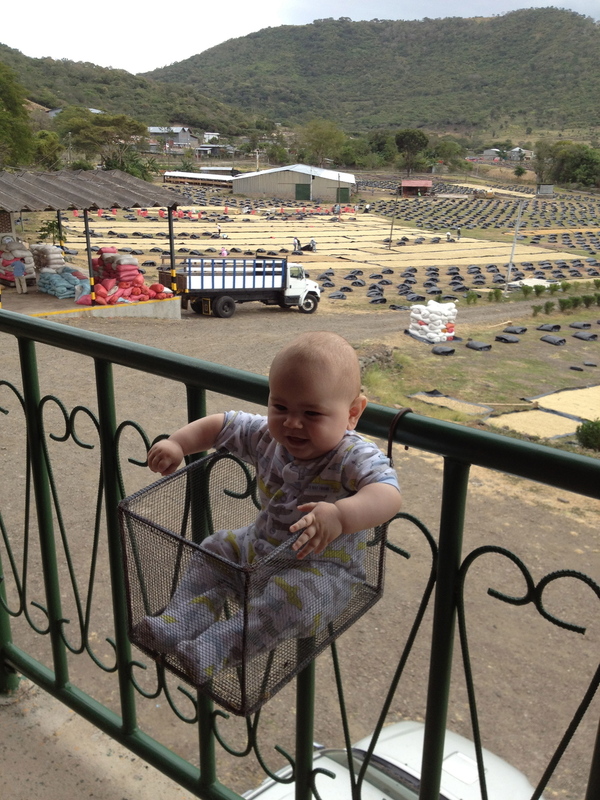 He‘s a third generation coffee producer and processor. The General of the operation but everyone calls him "Doc". When not doing surgery, you will find him in the machine shop or in the field. Truly hands on, there are few hurdles that he cant overcome or figure out. A skill that is tested thoroughly everyday. Constantly tweaking and improving, his favorite place is designing, modifing, and machining equipment. Its probably cheaper to buy something new but whats the fun in that. started his career in engineering but has been in coffee since 1994. Erwin worked as operations manager for Cup of Excellence (CoE) from 2000 till 2011 and now you can run into him as head judge in some of the COE competitions and leading training events for the Alliance for Coffee Excellence. Erwin applies his engineering background and experience in COE to endlessly pursue quality through the improvement of the cultivation and processing coffee. His exposure to various country's processing and agriculture methods has been the family farms biggest source of knowledge for pushing the quality limits with experimentation. started her career as a nurse practitioner and in coffee a few years ago but you would never know it. She is now a battle-hardened coffee geek. She manages the dry mill and quality control and brings order and style to a historically chaotic place. In her first year she attained a spot in the national jury for the Nicaraguan Cup of Excellence and made leaps and bounds in quality control for the dry mill. Having no prior experience in coffee has been a blessing in disguise. With no bad habits of a commodified world, she has taken the goal of complete lot separation head on. has worked in the farming, processing, financing, exporting, and importing of coffee for more than 15 years and most recently for 5 years with Intelligentsia Coffee. A believer that an industry in which more artisanal roasters can access quality ingredients means a better coffee experience for both the consumer and the farmer he pursues this effort in new york city through his organization pulley collective. He consults on the boring things that must be done in any organization and continuously looks for ways to provide more information and transparency for every coffee bean.